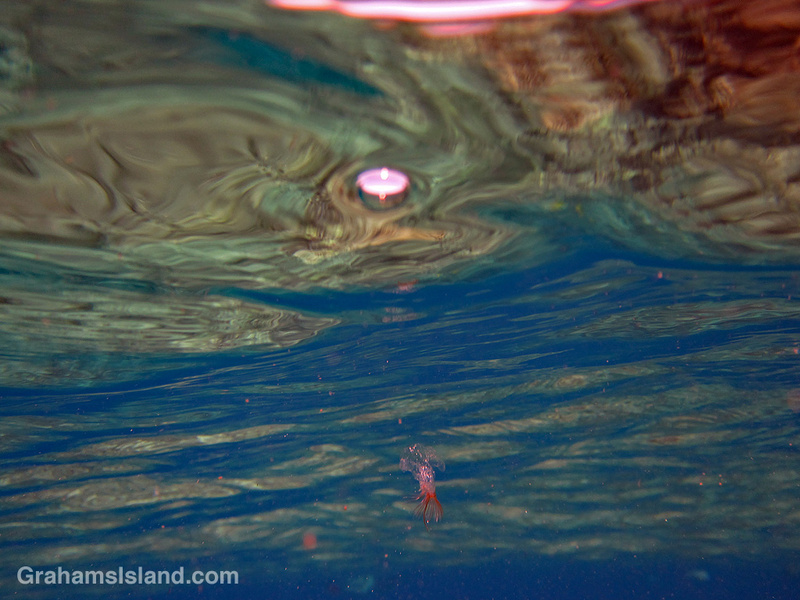 Every so often, when I go snorkeling, the water is full of small pink filament-like things. Swimming through them leaves me feeling slightly itchy and I’ve been told they’re baby jellyfish. A few days ago, in amongst these little pink blobs was a somewhat larger one, still only an inch or two long, but definitely a jellyfish. This was the best photo I got, but I liked how the water swirled around above it with the pink-rimmed hole looking like it might just have beamed the jellyfish down.